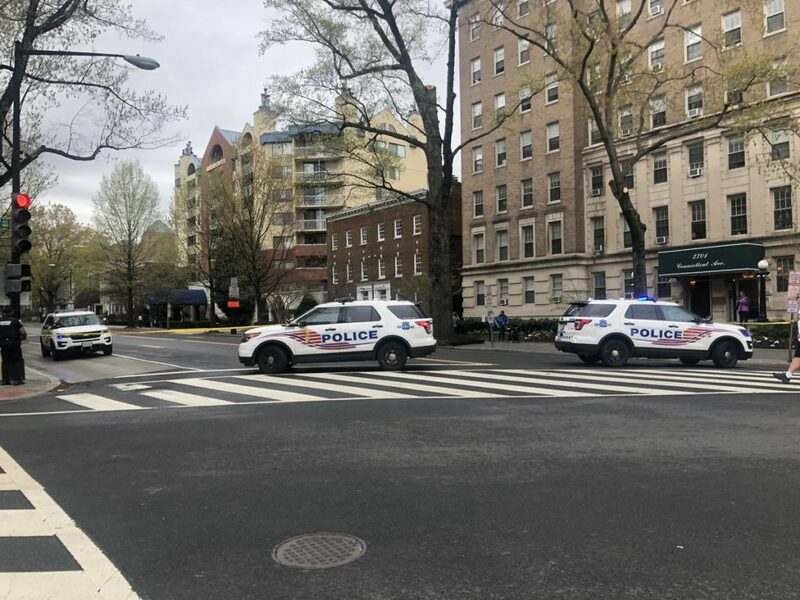 Additional units responded to the area to search for the vehicle and located it traveling northbound on 14th Street NW. When the vehicle observed the marked MPD units, it again attempted to flee but struck 2 metro buses. Officers approached the vehicle to have the driver exit at which time he put the vehicle in reverse and struck the MPD vehicle. The driver again fled the area driving north on 14th Street. MPD units pursued the vehicle to the area of Kansas Avenue and Quincy Street Northwest where the driver and a female passenger bailed out and fled on foot. The female passenger was quickly apprehended, however the driver is still at large. The driver is described as an African-American male, possibly with a beard. At this time, we are investigating several collisions involving the fleeing vehicle however there do not appear to be any injuries.